Much can be said about the original Resident Evil games, they changed the gaming landscape and pushed survival horror and adult gaming into the mainstream. The games relied on fixed camera angles, a shortage of ammo, great (but corny) characters and a strange sense of dread. But upon the release of Resident Evil Code Veronica for the Dreamcast - the fifth game in four years - it was apparent that the series was starting to feel a little stale. 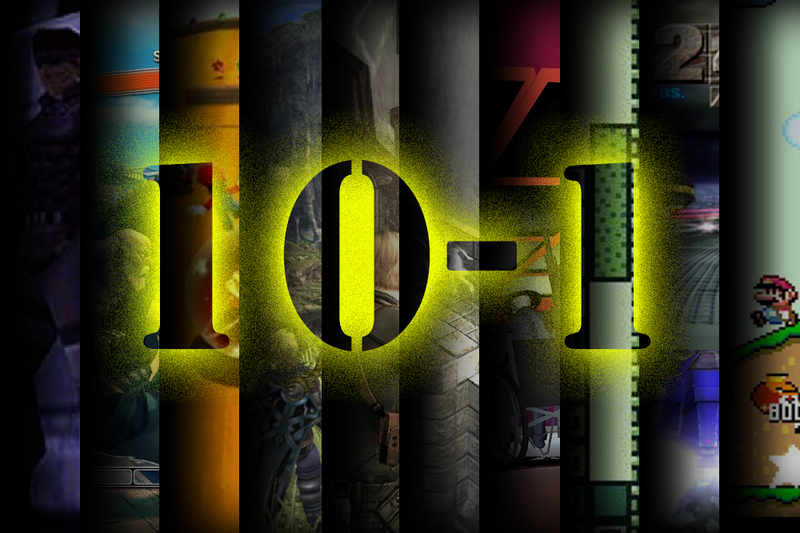 The case worsened with a bunch of spinoff games that people would rather forget. Enter Resident Evil 4, a game that almost completely disregards what came before in order to create some of the most refreshing and exhilarating gameplay of any generation. Resident Evil 4 was originally planned to be a GameCube exclusive and for a time it was... about six months. The game was part of Capcom's bid to support the GameCube with five exclusive games - dubbed as the Capcom Five - although in the end only one of these ended up being an exclusive. For a moment it felt like the GameCube could take the limelight away from Sony and Microsoft thanks to Capcom but sadly it wasn't to be. The PS2 got a port of the game along with additional content, the game looked far worse but people didn't care, they just wanted their Resident Evil 4 fix and who could blame them. 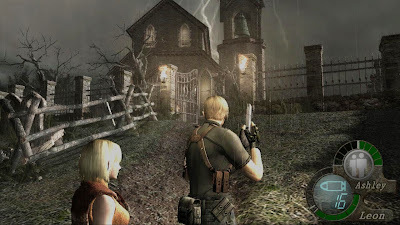 Resident Evil 4 moves the focus of the series away from the fixed views, slow pace and tension of earlier games and morphs the series into a fast, dynamic action game with barrels of the weird and wonderful. It's an incredible joy to play with its intimate over the shoulder perspective and hordes of unique enemies. The game mutates and grows larger and larger as you progress, enemies suddenly have rocket launchers and develop gnawing creatures that burst from their heads... it's crazy, but crazy good. The emphasis on action has increased but so has the variety, number and speed of the enemies. Resident Evil 4 is a high point for the franchise and yet there is an undeniable sense of loss here; the game marks the end of an era. 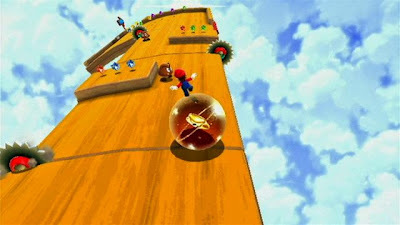 Super Mario 64 was praised by all as an innovative trailblazer that helped define the core principals of the 3D platformer as well as demonstrating how movement should work in 3D space. It was followed six years later by Super Mario Sunshine, a game that was much more divisive with gameplay that was almost entirely based around FLUDD, a water filled backpack. The game had many great moments but it wasn't without its objectively bad moments. The camera was often infuriating, as were some of the levels which were painfully hard and sometimes simply not that fun. The game didn't reinvent the 3D platformer as many had hoped it would and as such didn't feel like a true successor to Super Mario 64's esteemed legacy. This wasn't helped by rumours of Super Mario 128, a game people believed would be a direct sequel to the N64 classic. Five years later and Super Mario Galaxy not only lived up to Super Mario 64's legacy but - in my humble opinion - surpassed it. The game took the core principles of movement in 3D space and expanded them with gameplay that took the ground from underneath Mario's feet and thrust him skyward to the far reaches of space. Levels in Super Mario Galaxy now takes place on miniature planets that each have logic of their own. The fact that the game is set in space allows the designers to go wild with incredibly inventive level design as well as many many one off design flourishes that just keep coming. The ingenious design is always surprising and controlling Mario is precise and perfect. The game is backed by one of the best soundtracks of any game, an epic fully orchestrated score that matches the game's wonderous tone perfectly. One thing that is especially surprising about Super Mario Galaxy is the camera, it is so good! You have zero control over the camera and yet somehow the camera always frames the action perfectly. Nintendo finally perfected the camera which proved so bothersome in previous 3D Mario games. I prefer the first Super Mario Galaxy game to its sequel but both are essential games that all should have the pleasure of experiencing. Super Mario Galaxy is the high point that all future 3D Mario games will be judged against. Let's hope that one day Nintendo will brave the pure 3D Mario game again and out-do itself but for now we have two games that are still a joy to play today. I remember being drawn to this game by previews that appeared in CVG leading up to its release, the game looked enigmatic, artistic and magical... and it was and still is all these things. Upon its release I rented it from a local Blockbuster but never finished it - even though in theory it can be beat in around 4 hours - as I was just so enthralled by the world, I would stand in one spot and just pan the camera around for minutes at a time, trying to take in the beautiful scale of this almost godlike game. 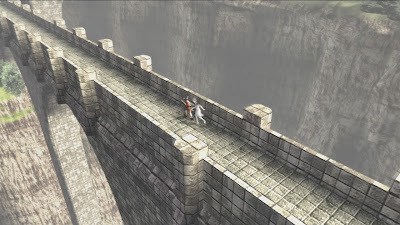 I find Ico to be one of the most emotional games out there and if you let it seep into your skin it will take hours of your life away that you will never dream of wanting back... it is an environmental, platform puzzle game but it is also a game that transcends 'gamehood' to become something very much art. The game starts with your character being brought to a small island by boat. He is brought here to be locked up as punishment for being born with horns. A small earthquake occurs which allows Ico to escape his cell. As you make your first steps though the gigantic temple-like building you were imprisoned in you happen upon a girl named Yorda, she speaks in an ancient language that you cannot understand but you know you must free her from the suspended cage she has been trapped in. Upon freeing Yorda black wispy monsters rise up from the ground and try to take her to what one can only imagine to be another dimension. It's from here that you realise that Yorda has great significance and that you must stick together and help one another in order to escape the island. 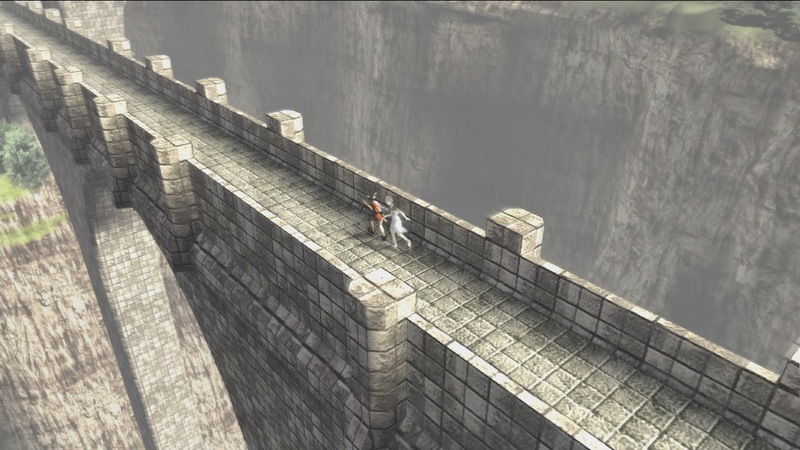 Ico is a game full of immense mystery, it's earirily beatiful, touching and also mindblowing in terms of scope. The game would receive a sequel - of sorts - in Shadow of the Colossus, a game that I am ashamed to say I have yet to play. The third game in the series, The Last Guardian, has had a troublesome development cycle, it was originally shown back in 2009 and was expected to launch soon after for the PS3. All was quiet with regards to the game's development and many thought it was cancelled up until its resurrection at 2015's E3 press confrence. The game is now expected to release in 2016, seven years after its initial reveal. Here's hoping it can live up to the hype that surrounds it and can breath new life into the gaming landscape the same way Ico did back in 2002. I skipped out on the 360/PS3 era due to lack of money, going to university and not having a HD TV. I was happy to keep collecting for older systems, it was cheaper to do and there were still many great games to hunt down. I was still interested in the gaming culture of the time but missed out on actually playing it... well, I was at least enjoying the Wii! Although I couldn't play it I was really interested in Street Fighter IV, I loved Street Fighter Alpha 3 and the admittedly imperfect EX games as well as the many other Capcom fighters such as Rival Schools, Marvel Vs. Capcom 2 and Marvel Super Heroes. My feelings for Street Fighter IV soon soured though with each iteration, from the outside it looked as though Capcom were just exploiting their audience, and maybe they were? It wasn't until this year - after getting a fairly beefy PC and setting up a Steam account - that I finally got round to playing the game in its final form, Ultra. The game, in its final form, is one of the most balanced and mechanically elegant games I have ever played. 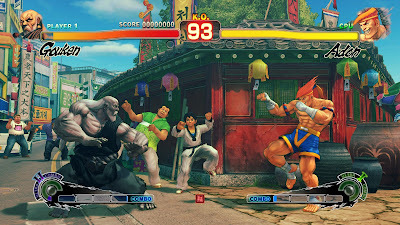 The fighting has a very heavy feel to it, quite unlike the floaty Vs. series or the juggle heavy Tekken games. This heavy feel forces the player to think about where they position themselves in relation to the enemy, jumps are easily punished and so must be used deliberately, in fact every single action can be counteracted and so knowing what your character inside out is a must. One of the things that the Street Fighter series is known for is its super meters, they build up during battle and can be unloaded in the form of Super Attacks on the opponent, SFIV tweaks this into one of the deepest but also easiest to understand systems of any fighting game. The game features two meters, the EX meter which fills up as you attack the opponent and the Ultra meter which fills up as you take damage. The EX meter fills up in blocks and if full you have access to a Super Attack which drains the meter completely. Each character's Super Attack is unique but they're almost always combo heavy. You can also use individual sections of the meter to power up special attacks into their EX form. The advanced player can also use the EX meter to pull off a Red Focus Attack which is a defensive attack that can break through an opponents incoming attacks and if done correctly can leave the opponent wide open. The Ultra meter has one function, it allows you to perform to perform an Ultra Combo, these are similar to Super Attacks but are even more devastating. An Ultra Combo can be performed from when the meter is half full but the more full the meter the more damage the Ultra will dish out. As mentioned earlier the Ultra meter differs from the EX meter in that it increases as you take damage, this helps create a more dynamic fight whereby a losing opponent can make a powerful comeback. Each character in SFIV feels unique but also incredibly balanced. Knowledge of each characters pro's and con's is essential, the player must adapt strategies depending on what character they're fighting against. For example if you are fighting as Gouken against Vega you might choose to mix up your Gohadoken fireball angles and hold them for varying times in order to force him to stay on the ground. If Gouken was going against a character who can throw projectiles he might choose to use a Hyakkishu which sees him quickly launch forward into a jump and then sweep the enemies feet. He may also use the forward momentum of the Senkugoshoha punch to get closer to the enemy as this attack allows Gouken to temporarily move through projectiles. A character like Akuma may use an attack simply to get a reaction out of the player, for example they could jump forward and do a Zanku Hadoken firebell mid air and whilst the opponent is high blocking the attack Akuma can quickly swipe the opponent or start a combo with a low attack. The immense amount of strategy involved in SFIV can make it seem daunting but learning a characters ins and outs and a willingness to experiment is key. Playing against a real player is the best way to learn new strategies and thankfully SFIV has one of the most robust communities of any game. A truly great fighting game that is hard to beat. 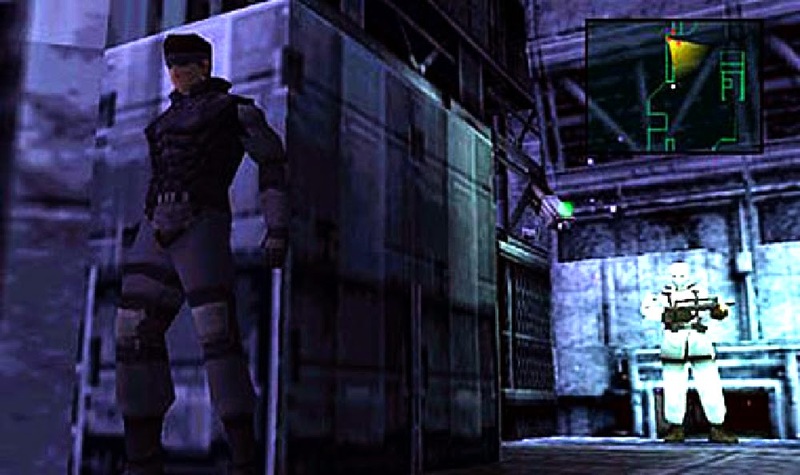 I remember the lead up to Metal Gear Solid being rather intense, people were so excited to get their hands on this game as it seemed to change 3D gaming from the ground up with it's unique 'Tactical Espionage Action'. I distinctly remember playing the demo of the game for hours, finding new ways to get through the first few rooms of this phenomenal game. When I did eventually get the game - spread across 2 discs and encased in some rather lovely watercolour artwork - I played it through and through, it took me hours but I loved every minute of it. Never before had a game consumed me so completely, it just felt like a real game changer; surprisingly adult, cinematic and unusual. I will admit that I shed a little tear as the credits rolled for the first time, something I didn't know a game could achieve, but the game is just so enveloping, intoxicating and beautiful to play. I have since played through the game a good 10 times and it still doesn't get old thanks to gameplay that forces you to think on your feet and be creative. The story is also incredibly engaging with its outlandish characters, plot twists and themes of eugenics, terrorism and fate. The game received an update in the form of Twin Snakes for the GameCube which was developed by Eternal Darkness creators Silicon Knights but I still prefer the PlayStation original. Twin Snakes feels ironically a little more flat than the original to me... not sure why though, anyone else feel the same? In my opinion the sequels do not live up to the promise of this earlier game; I never feel like going back to the sequels but every year or two I will replay this game and I still find it utterly captivating. At the time of its release what stood out to me the most was the amount of control I had over Snake and the multiple ways the player could overcome a situation; do you go in guns blazing or distract the guards by knocking on walls and leaving footprints in the snow, do you tranquilize the enemy from afar or sneak up on them and chock them in order to conserve ammo? A truly ground braking release which holds up incredibly well today. Although Xenoblade Chronicles is my fifth favourite game of all time I find it hard to summarise exactly why it means so much to me. As you may have noticed the game has the distinction of being the only RPG on my list... why is that? Well I usually don't get along with the genre but something about Xenoblade just captured me. To a certain extent the main appeal of the game comes purely from the experiences it gives you, the world is one of the most vast and varied of any game ever conceived and walking into a new environment is always breathtaking. 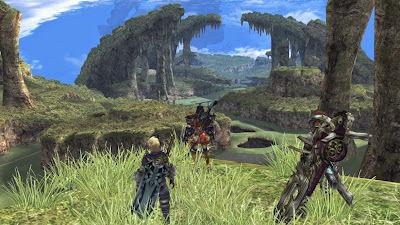 The greatest moment for me occurs towards the start of the game; after leaving the bustling town that acts as the starting point of your epic adventure you slowly climb terrain as enemies become more intimidating and wild. You eventually come to one of the game's labyrinthine caves and after making it out to the other side you are treated to one of the most beautiful sights of all gaming; a preposterously large titan with eyes glowing is locked permanently right above... oh, I should have said, the whole game takes place on two huge titans that froze in battle many years ago! This context makes the environments feel steeped in history, organic and also strange and otherworldly. After spending time peering at the titan in the far distance you continue your adventure via a narrow path that lead between two large cliff faces. As you reach the other side you are greeted with my favourite environment of any game, Bionis Leg. That moment, as the landscape just expands before your eyes and the sweet sweeping sound of Gaur Plain enters your ears all the hairs on the back of your neck will stand on end. My jaw literally dropped, I couldn't believe what I was seeing and hearing. This is the first glimpse you have of just how huge and epic the game world is and it is absolutely breathtaking. The environments, music and sense of exploration are all what make Xenoblade Chronicles so special to me but the game also has great gameplay with a unique real time battle system. You and three others take on enemies in real time and use special 'Battle Arts'; these can be special attacks or combo attacks but can also be things like distractions or buffs for your team or duffs for the enemy (slowing them down, making them less hostile etc). Depending on who you choose to have in your team and what arts you have equipped different strategies can come in to play; finally beating that enemy that has stood in your way the whole game is incredibly satisfying and the sense of achievement is an incredible and tangible thing. Xenoblade Chronicles is a monumentous game that will swallow you whole if you embrace it, it's one of the greatest games ever made and deserves to be given a chance by all, even the RPG haters! Now, I feel I must preface this game's inclusion, this is my Top 50 games, it is not a definitive Top 50 or a list that seeks to be objective. All these games mean a lot to me personally and I have chosen to include them specifically for that reason. I say all of this as a lot of people feel Killer7 is a bad game, a confused and linear experience that doesn't know what it wants to be... but I am here to tell you what I like about Killer7 in a bid to peek the interest of those who have either been on the fence or have never heard of this divisive masterpiece. 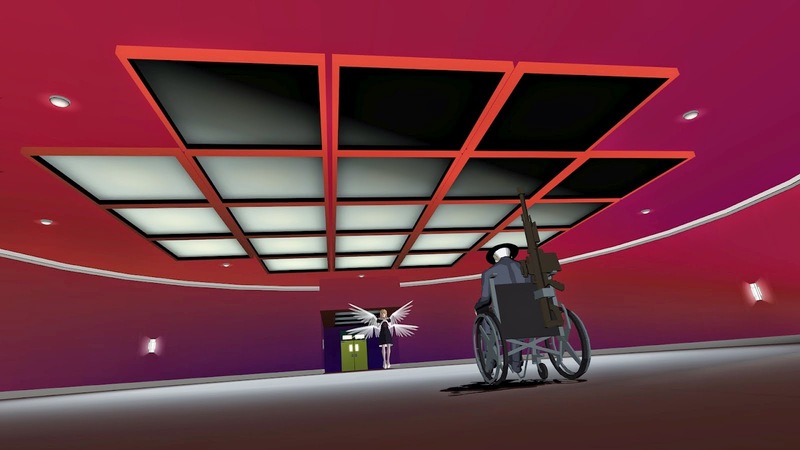 Killer7 is hard to categorise, its gameplay is a strange concoction of genres; story heavy Adventure, Survival Horror and First Person Shooter. The game very deliberately blurs the lines between genres in order to create something new and unique and still to this day it stands out as one of the strangest games of all time... the Trout Mask Replica of videogames if you will. In basic terms the gameplay sees you run around environments on a set path - almost like an on-rails shooter - trying to make your way to the chapter's boss. You come across many enemies in the game, to engage with them you must enter a first person mode and scan the area to make them visible. You must listen out for their twisted laughter in order to know where they are located. You control multiple personalities, each with their own attributes and abilities, you must switch between each to solve basic puzzles and advance the story. However, to focus simply on gameplay elements is to miss out on two very important things that make Killer7 unique; its story and its style. 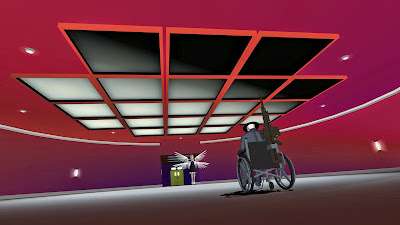 Killer7's story seems rather straightforward at first but then quickly veers off course into the weird, obscene and disturbing. The game is set in a world where all nations have come together with the joint course of worldwide peace, all nations destroy their nuclear weapons and promise to live together in peace. It's not long though until a mysterious terrorist group called Heaven Smiles come on the scene. You control Harman Smith, a wheelchair bound old man who lives in a mobile home with his young abusive mistress... I think! The game sees you control Harman's multiple personalities through a story that twists and turns and is deliberately obtuse. The game has many chapters, each help expand the game's world and introduce a set of crazy characters. The less you know about the game the better so I won't go into specific details, but let's just say it's one of the craziest games out there! The game has a cel-shaded graphical style, a technique that flattens 3D images with block colours and shading. During the early 2000's the style was very popular with games such as Jet Set Radio, The Legend of Zelda: Wind Waker and XIII all using the technique; but none used cel-shading in as stark and creative a way as Killer7. Each of the game's environments are rendered as colour gradients which coupled with the games deliberate camera angles give the game a beautiful feel. Characters are depicted with harsh noir-like shadows which when paired with the environmental graphics give the gave an incredibly unique style. The game's great style extends from its graphics and into its eccentric storytelling, its glorious soundtrack, its unique and provocative characters and its intentional stubborn obtuseness. The game has a personality unlike any other, every time I play it I pick up on something new in the story or find something else to love about the game as a whole. It's one of the most intense and 'out there' games of all time and at one point it was also my favourite. Upon creating this list though one thing took presidence over everything else, fun. Killer7 isn't the most fun of games which is why it didn't take the top spot, yet I still feel that Killer7 is a game that goes places that games rarely go. The F-Zero series started life as a flagship SNES racing game - along with Super Mario Kart. The game was a launch title for the system and alongside Pilotwings demonstrated the system's unique sprite scaling and faux-3D capabilities thanks to the Mode-7 chip. 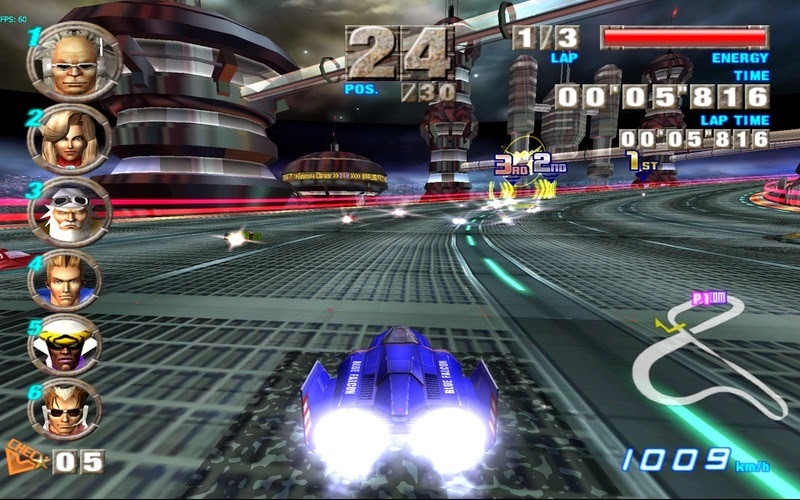 The game focused on intense futuristic racing at blistering speeds but the technology of the time dictated that tracks be flat and that the game was singleplayer. It was not until the release of 1998's heavy metal inspired sequel, F-Zero X, that the series would add multiplayer and mix up the track design with pipe tracks and tracks that twisted and turned all over the place. I enjoyed F-Zero X but never really loved it. It wasn't until F-Zero GX that things really clicked with me and the series. GX was developed in collaboration with Sega and Amusement Vision, a company best known for the Super Monkey Ball series. The partnership exceeded all expectations and brought about a remarkably beautiful, incredibly fast and addictive arcade racer. Everything about the game gleams, the care and love that went into it is plain to see. The game retains the speed of previous games but pairs it with the best track design of the whole series and gameplay that is easy to pick up but hard to master. The game features over 40 characters, each has a unique craft, biography and theme song. Unlocking most of the characters is easy but there are also a handful of characters that can only be unlocked through completing each of the Story Mode chapters on high difficulties - this is brutally hard to do! As well as some very elusive characters the game also features a fifth cup with 6 tracks from the arcade version of the game, F-Zero AX... this too is incredibly hard to unlock, giving you something to keep striving for! The intensity of the racing is something that is hard to sum up in writing but suffice it to say it's easily my favourite racing game of all time and one of the most fun games I have every played, it's a stone cold classic that more people should have played. An absolute gem that makes my pulse race just thinking about it! A beautifully fast and intense racer unlike any other. Mario has come to define video games, along with Pacman he is the most identifiable face of gaming. He started life out as Jumpman in Donkey Kong before getting his own set of 2D platforming games starting in 1985 with the iconic Super Mario Bros.. This first title, whilst still a historic classic, can feel a little repetitive by today's standards, and controlling Mario can often be a pain. This was followed - in the west - by Super Mario Bros. 2, this was a reskinning of a Japan only game called Yume Kōjō: Doki Doki Panic, it played unlike a Mario game and is often not seen as a true Mario experience. Then came what a lot of people believe to be the best of all 2D Mario games, Super Mario Bros. 3. This game introduced a plethora of intresting power up's and gameplay mechanics as well a world map. The next game in the series would come only a couple of months later and would launch Nintendo's new 16-bit console. Super Mario World for the SNES is almost the purest definition of gaming for me. The game is intuitive and incredibly fun to play, each level manages to surprise you with effortless and ingenious design. From start to finish Super Mario World is a joy to play, it is significantly easier and more approachable than Super Mario Bros. 3, features a beautiful, simplistic and clean aesthetic and has a catchy soundtrack that changes when riding upon Yoshi. 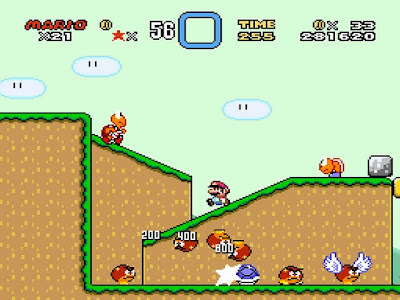 Speaking of Yoshi, Super Mario World was the debut of Mario's sidekick, he allowed Mario to be hit one more time, allowed him to reach new areas and added a greater sense of variety to the gamplay. The game featured the now classic cape power up which allowed Mario to float through the air. Getting the hang of the momentum of this power up was great fun. There was also the Power Balloon that temporarily inflated Mario although this was only present in a couple of levels. The game had less power up's than Super Mario Bros. 3 but this only helped the game feel more focused. The game featured a beautiful world map that connected each of the levels together into one logical world. Throughout the map were switches which when pressed would effect the levels around Mario and allow access to previously blocked off parts of levels. Overall Super Mario World is just an absolute none stop joy to play. I love almost everything about it and could play it for hours, it's creative, joyful and above all it's fun. I'm as surprised as you are... I was expecting Tetris to rank highly but to be honest I didn't know it would come out on top. As I started pitting each of the games on this list against one another and I slowly started to realise that Tetris was my favourite game of all time. Most people have played Tetris in one form or another, the game is a simple but highly influential puzzle game made by Alexey Pajitnov that tasks you with arranging falling shaped blocks so that they disappear. If the stack of blocks reach the top of the screen then it is game over. The game gets faster and faster the longer you survive so knowing how each of the seven block types fit together is essential. The most lines of blocks you can delete at one time is four, this is known as a Tetris and not only does it get you the lots of points but it is also incredibly satisfying to pull of. The game has been released on many different consoles but the version that I grew up with was the Game Boy version. This is still my favourite version, it is just pure simplistic design perfection. Some of the later games would allow the player to cheat by being able to continuously rotate the block which would stop it from being laid down, this is not the case with the Game Boy version; you have to dedicate yourself to your decisions and live with them! My second favourite version by a very very narrow margin is Tetris DX for the Game Boy Color. This version is in colour, it allows you to save your score and their are more game modes to play with. The only thing that brings Tetris DX down is the game's soundtrack, it just can't compare with the memorable 8-bit Russian folk tunes found in the original Game Boy version. 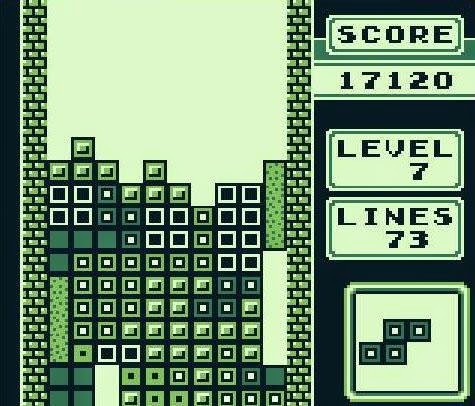 Many companies would try to capitalise on Tetris' success with puzzle games of their own but none come close to the perfection that is Tetris. Companies would get hold of the Tetris name to create sequels without Alexey Pajitnov's involvment and these are almost always disastrous, they're usually either too complex or too random but most of the time they're just plain boring! So here's to Tetris, the original and best, a remarkably elegant puzzle game that hasn't aged a day. 50 - Mario Kart: Double Dash! !